This recipe for black bean soup was originally posted on August 15, 2016 and has been updated. Roasted jalapenos are kind of a big deal. For those of you who are like “no way, this is going to be too hot”…don’t click away. This Southwestern Black Bean Soup with Roasted Jalapenos isn’t quite as spicy as you might think. The seeded and roasted jalapenos are almost sweet (yes sweet) and are the perfect addition to this simple, hearty and flavorful black bean soup. First, season your chicken with simple spices. Toss to coat well. Working in batches, brown the seasoned chicken in oil. Don’t crowd the pan or you won’t get nice brown color. While the chicken is sizzling away in the pot, I start to work on one of my favorite parts of this recipe: the Roasted Jalapenos. I love Mexican food–so much I would eat it every day. One of my favorite “not on the menu” items at our local restaurant? These killer roasted jalapenos. 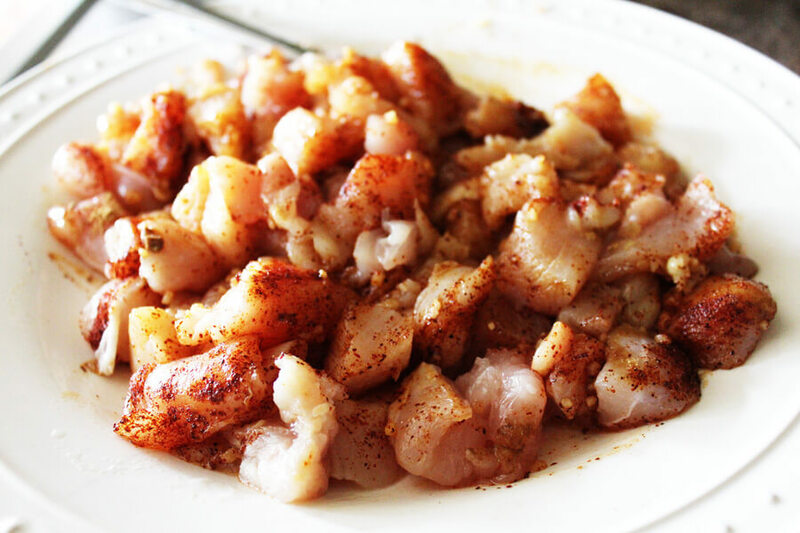 They seed them, cook them until brown and tender, and top them with lime juice and the perfect seasoning. 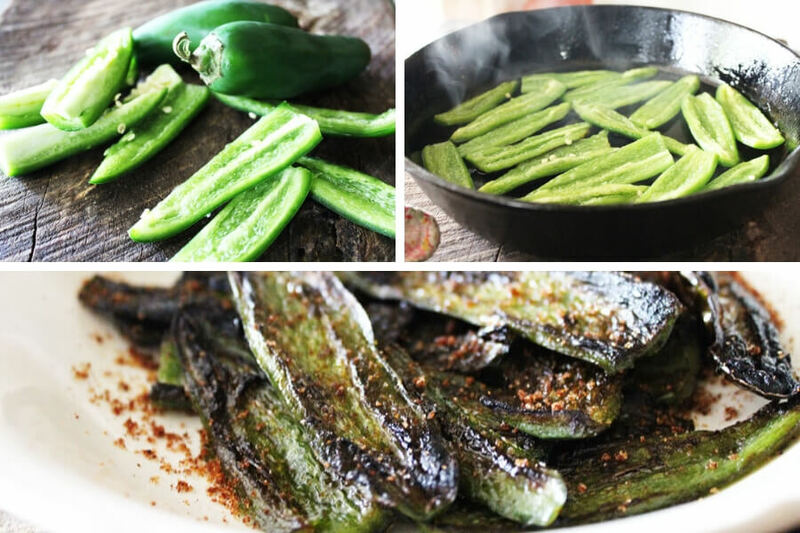 Warning: These roasted jalapeno peppers are addictive! You eat them with chips, with your meal, or alone. I thought they would go perfectly with a simple Southwestern-style soup.
. (You might want to use gloves for this part.) If you like yours a hot, leave a few seeds in. We really wanted the sweet and peppery flavor instead of all of the jalapeno heat, so we removed almost all of the seeds. In a sizzling hot skillet, cook until brown on both sides and tender, remove them from heat, sprinkle with seasoning, and set aside. For now. If you can. Ok back to the soup at hand. 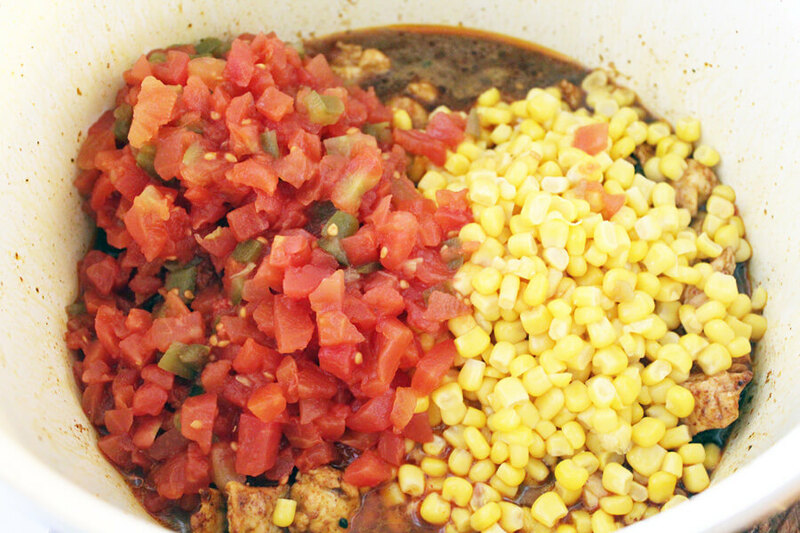 Add your tomatoes and corn to the cooked chicken to your soup pot. 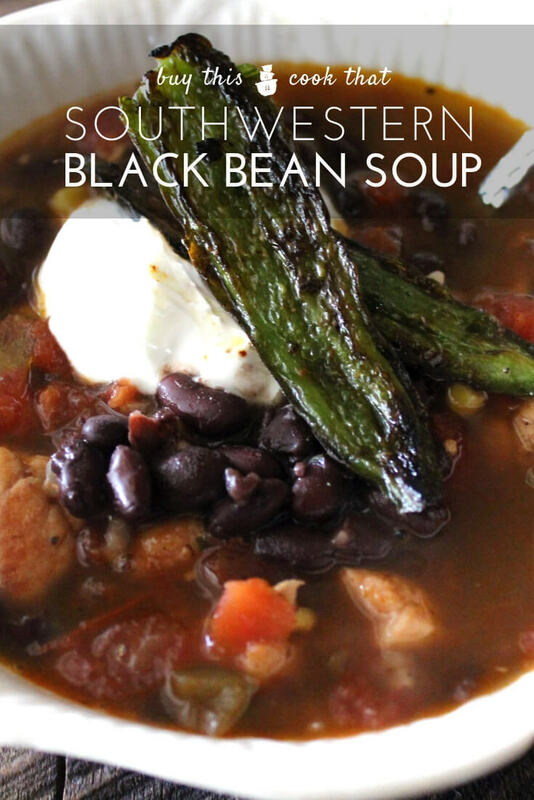 We used canned diced tomatoes and kernel corn to make this Southwestern Black Bean Soup with Roasted Jalapenos super fast. To all of that festive color, we added 3 heaping cups of black beans. 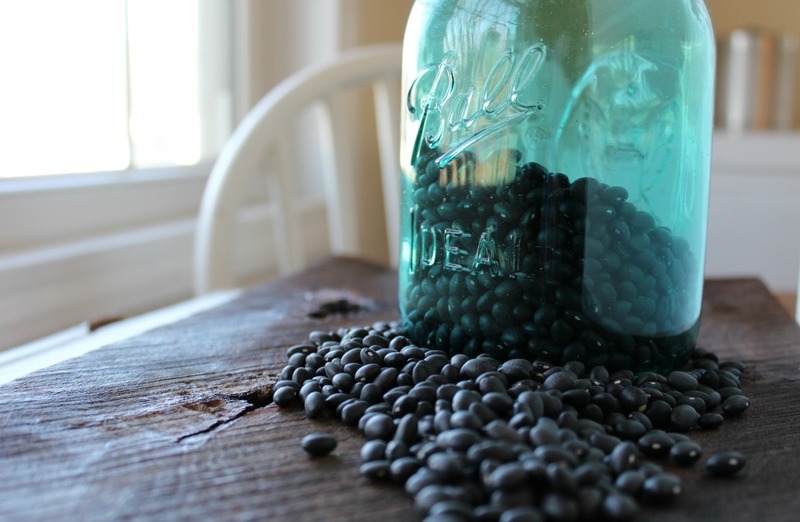 You can either used canned, drained beans, or…..do it yourself? Click here for our Essential Slow Cooker Black Bean recipe. The black beans are so awesome with the roasted peppers. Add in the beans, seasonings, rice and water and bring to a boil. Reduce heat and simmer until the rice is done. Black beans are one of my favorite meal-stretching ingredients. They are affordable, versatile, and add color and flavor to so many of my recipes. They are full of protein and fiber and are very filling. Now, you have a decision to make. Put the roasted peppers in now, or serve them as a topping with the Southwestern Black Bean Soup. If you have kids, or people that aren’t quite sure about the peppers, serve them on the side like we did. This way each person can decide how many they want. 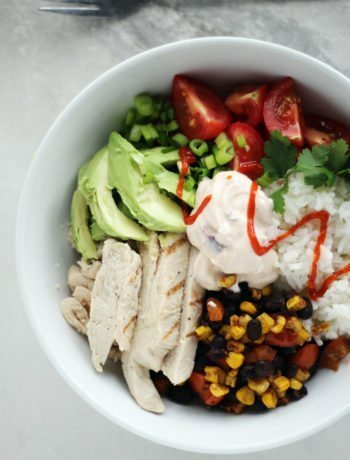 The tender chicken, black beans, sweet corn…and then a sweet and slightly spicy roasted jalapenos. This wholesome and hearty recipe for black bean soup is one of my favorite meals. 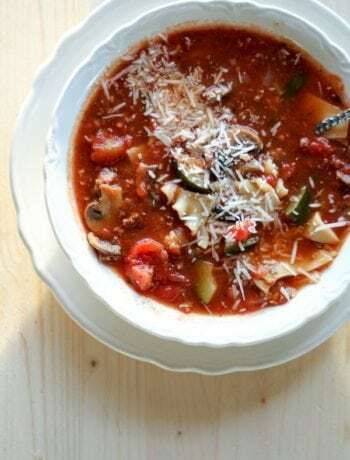 Serve this soup hot with your family’s favorite toppings like crispy tortilla strips, sour cream, shredded cheese and green onions. 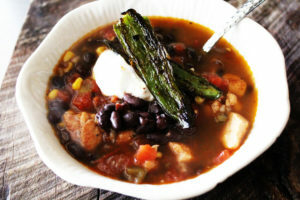 A savory and tasty Southwestern-style soup with chicken, black beans and roasted jalapenos. 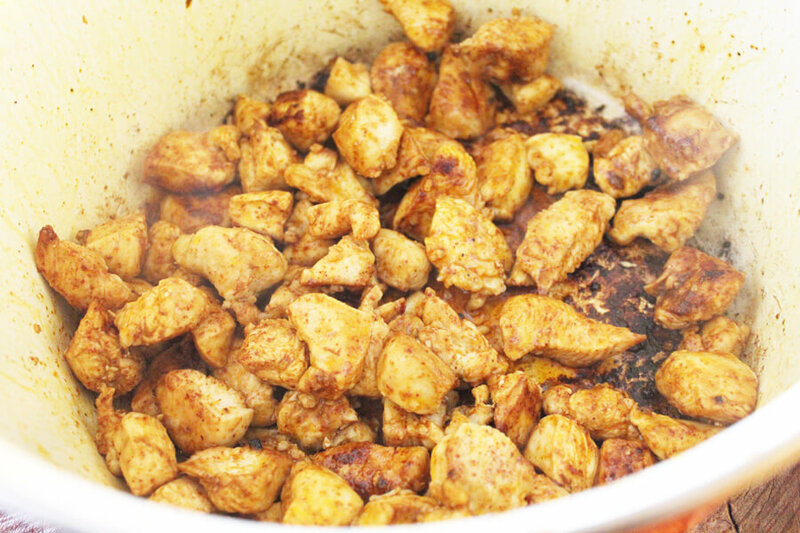 Coat the chicken with 1 tablespoon of oil, and combine with the garlic, chili powder, and cumin. Heat a soup pot or dutch oven to medium heat. Add the chicken and cook until browned and no longer pink, about 6 - 7 minutes. Stir frequently. 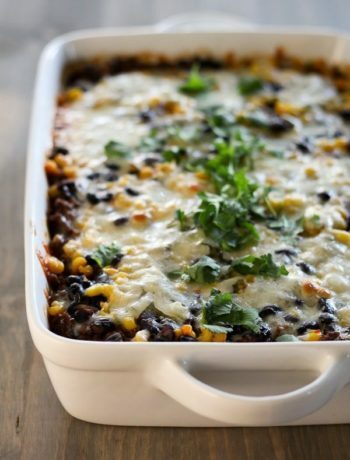 Add the water, black beans, undrained tomatoes, undrained corn, dry ranch mix, lemon or lime juice, salt and pepper. Stir to combine well, and heat to boiling. Stir in the uncooked rice, and reduce to a simmer. Cook and stir until the rice is done, about 20 to 25 minutes. While the soup is simmering, heat 2 tablespoons of oil over medium high heat. Cut the ends off of the jalapenos. 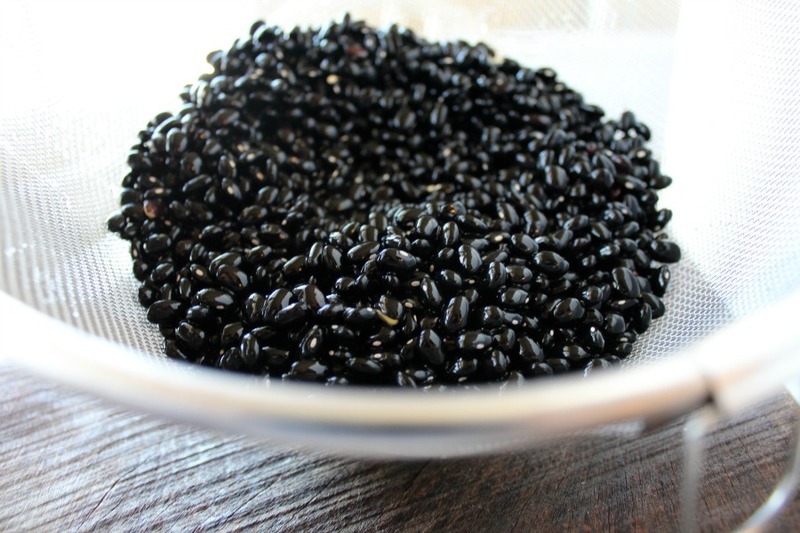 Quarter them lengthwise, and carefully cut out the seeds and membrane. Cook the jalapenos in the hot oil until brown on both sides and tender. Remove from heat, and sprinkle with the Sazon. (Note: You can cut the roasted jalapenos into bite sized pieces and add them to the soup during the last 5 to 10 minutes of cooking. Or, serve them as a garnish or side with the soup.